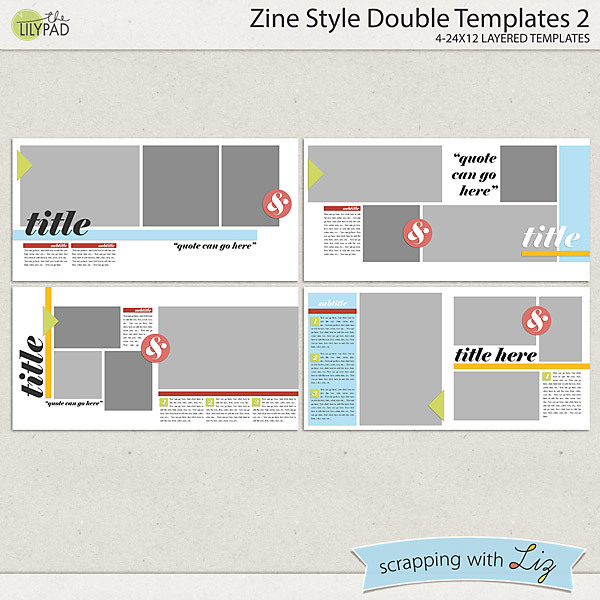 Scrapping with Liz: Magazine Style Doubles - 50% OFF! Magazine Style Doubles - 50% OFF! 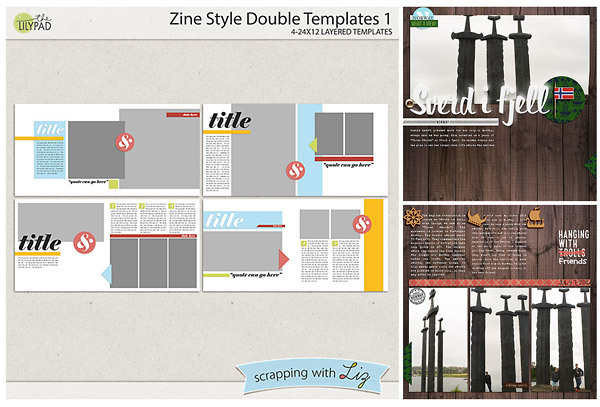 Today for Something Old, Something New I have two sets of double page templates for sale at 50% off. 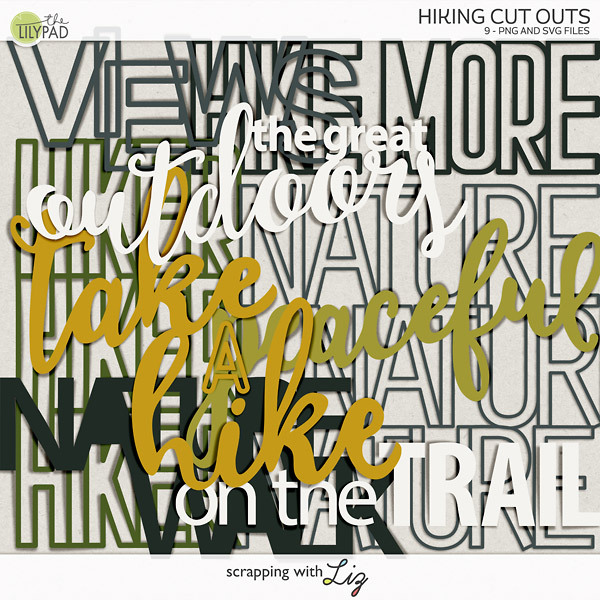 These are inspired by magazine articles - with color blocks, large photos, subtitles or quotations, and text in columns. 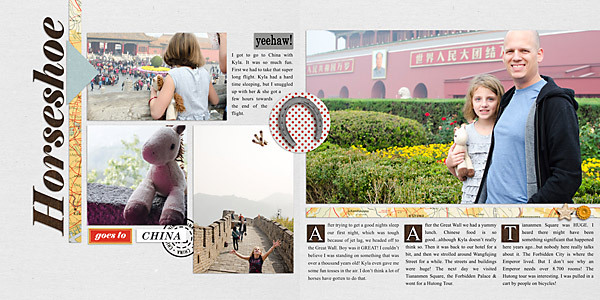 These templates are a favorite for travel pages because you can showcase your photos and record all your different memories or details about the places you visit. 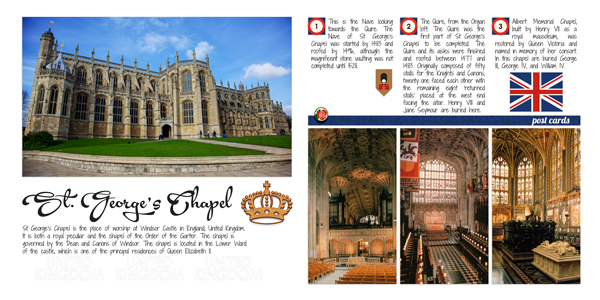 Here's a travel spread by Donna and myself. 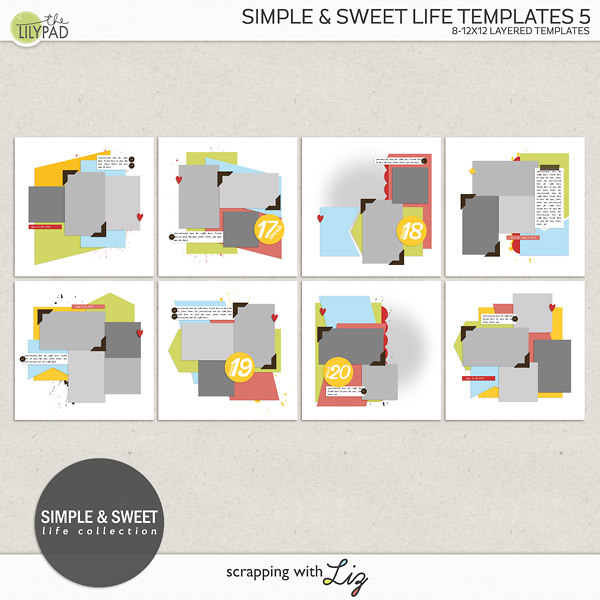 50% OFF Fun Shape Templates 1 and 2 - Today ONLY!